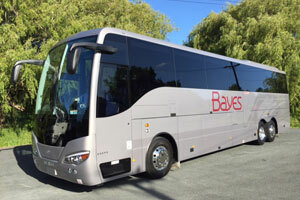 Bayes Platinum coach 1 of 2 of our new deluxe Platinum touring vehicles is now on the road, coach 151 is a full-sized 13.5m coach with just 32 seats. This is the premium option for any discerning travel group. 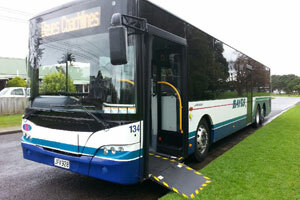 With a 2 + 1 seat configuration, these seats are not only wider but are well spaced apart for amazing comfort. 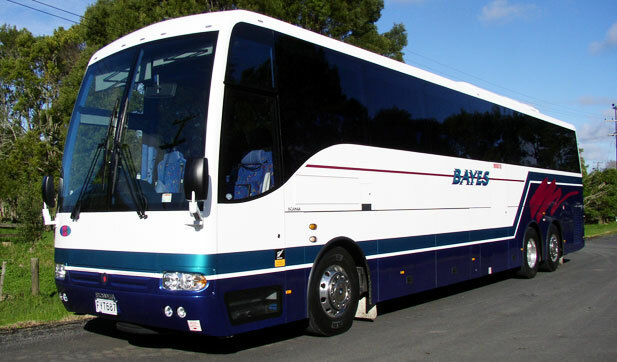 Coach 150 has now joined the Bayes fleet and ready for touring New Zealand, this is a beautiful mid-sized coach - 32 fully seat belted leather seats, twin door entry, onboard fridge and toilet, charging station, drop down tv screens and cd radio PA entertainment systems, large panoramic windows with screen blinds and climate controlled AC. 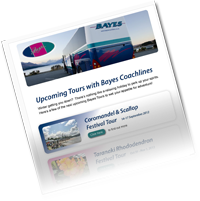 New Zealand is a stunning place, and there is no better way to see it than by touring in a coach. 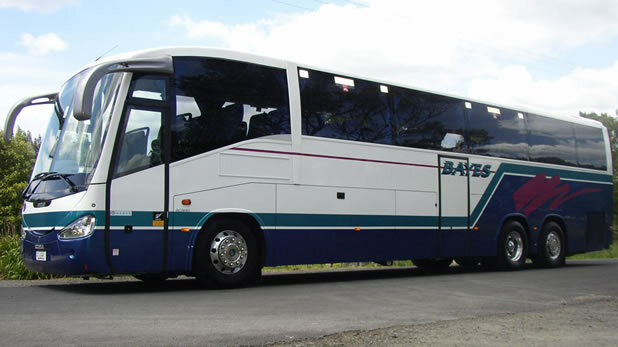 In the last 6 months we have had 2 more brand new 5 star coaches join our touring fleet. 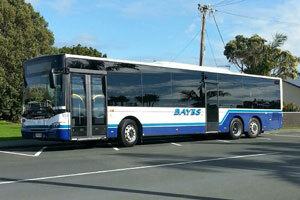 These are premium touring vehicles, designed and individually built to our specifications, for your comfort and safety. Extract from The Rodney Times Newspaper, 28/07/2009. 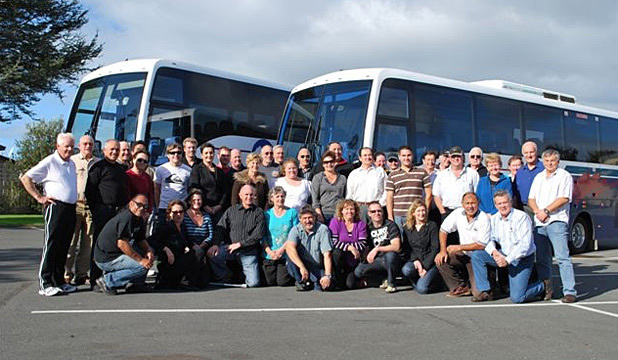 BUSINESS MILESTONE: Bayes Coachlines in Dairy Flat celebrated 30 years in business by taking their staff and partners to Paihia for the weekend.